What rivers does Rock-N-Water do Whitewater Rafting Trips on? 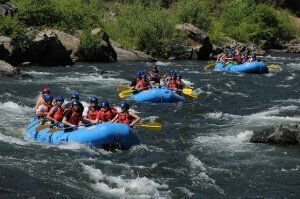 There are many great rivers in California to go whitewater river rafting. These are the rivers that Rock-N-Water’s guides can take you and your friends or family along for a fun Class III or Class IV river rafting experience. 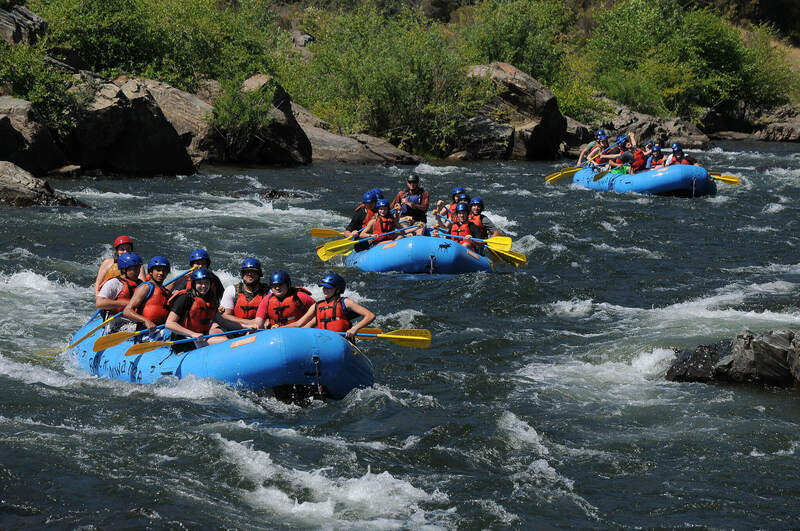 South Fork of the American River – Explore along the South Fork of the American River in California as we take on two contiguous ten mile sections of class III whitewater rafting fun, and California Gold Rush history. Rock-N-Water is a group of Christians who want to impact youth with the joy of God’s Living Word through rafting adventures. We focus our California whitewater rafting trips on biblical principles, and we use the help of nature, friendship, and challenge to develop character. We do South Fork and Middle Fork American Rafting Trips, and we take canyoneering trips through the beautiful river canyon of the North Fork of the American River. Learn more about Rock-N-Water. Most rafting companies, Rock-N-Water included, do not require swimming ability for Class III rafting. On all river trips, you will be outfitted with a PFD, or lifejacket, which will give you lots of extra flotation if you end up in, or chose to be in, the river. Chances are, you will not fall in the water at all on any of our rafting adventures, but if you do, the PFD will take care of keeping you on the surface. We take non-swimmers rafting every year, and it is always a great time.As difficulty increases, some outfitters will require swimming ability for Class IV or V rapids. We WILL take non-swimmers on our Class IV trip on the Middle Fork of the American if they have had a recent Class III rafting experience. By default, each of the above multi-day rafting trips have you arrive around 7 PM the night before (eating dinner before you arrive), and leaving around 6 PM (eating dinner on the road) at the end of your last adventure. If you would like to do the same on a one day trip (we strongly encourage it), it’s just an extra $20/person. If you live more than 3 hours away, or you just want to finish your trip with even more awesomeness, we recommend you add dinner and another night of camping & campfire time to the end of your trip for just $20/person. If you are comparing our prices with generic rafting outfitters, please be aware that unlike prices listed for most of their south fork american river rafting trips, our prices already include all taxes and fees. Again, please contact us if you have any questions, or are not finding exactly what you are looking for.